Last month Time Out magazine blew the cover on the hidden secrets of Sunbury Antiques Market. So intense was the vitriol from its regular shoppers, we wouldn’t be at all surprised if they’d attempted an injunction against this traitorous act of ‘kiss and tell’. Time out describes it as ‘the best antique fair you’ve never seen’, and in fact the leaked gem has remained largely under the radar, till now. Boasting some 700 plus traders from all over Europe, who’d have known Sunbury’s been trading for over 42 years? Bric-a-brac, antiques and vintage wares may have previously been seen as nothing more than ‘junk’, today they’re the ‘must have’ ticket item, not just for consumers but for retailers seeking the most authentic retail display solutions. Tim Wilkinson visited the market and explains how WBC’s new Prop Shop offers the perfect alternative to traipsing through the cold at 5am in the morning. 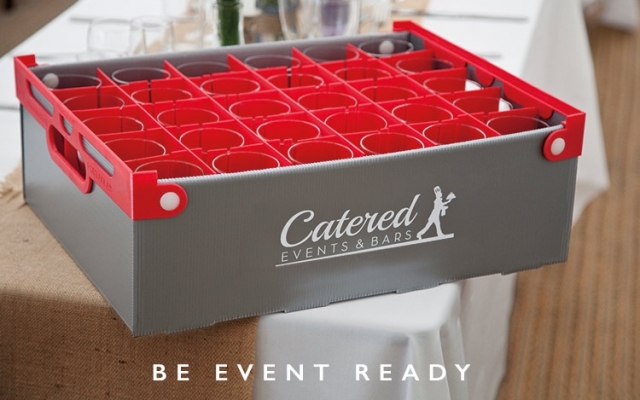 Glass hire services for corporate events, what a ‘crate’ idea! Offering customers an add-on service like our glass hire services is a great way of sustaining healthy sales throughout the year. Not only will it attract passing trade and brand new visitors, but it can improve and sustain existing customer loyalty. And once they’re through the door, it will also give you a really good chance of boosting incremental sales of impulse purchases. A customer might come in to talk about hiring glasses for their party, but the chances are they’ll leave with a whole lot more. If you’re thinking of offering a glass loan service, investing in a selection of good quality glassware, along with glass storage crates is a must – here’s what you need to achieve a functional service. “All women become like their mothers. So it’s with equal measure of gratitude and fear that we dare not forget what has become arguably a fantastically placed retail spin off. But if like many retailers, you’re already overwhelmed with 2012’s ‘sales events’, then sometimes it pays to keep your ideas simple. When you’re struggling for a ready-made gift idea to offer customers – one that doesn’t deplete your time, energy or budget – this gifting idea is an absolute cinch. It’s the perfect impulse purchase Mothers will love. Plus the fact you’re buying it at wholesale trade prices means you will love it even more once you see the profit margins. It’s about time we had some positive self-promotion in this country. Something local, regional, and national, that we’re happy and proud to shout about globally with some British themed gift packaging. It can’t be a bad thing, can it? For us Brits, ‘bigging oneself up’ is not a past-time we undertake lightly. It requires sufficient gall and the high degree of front we generally regard as best left to our American cousins. But with festivities like the Queen’s Diamond Jubilee, the Olympic and Paralympic Games, English Wine Week, Love British Food Fortnight, and the thousands of other local events planned – 2012 is our turn! The world is watching – so by ‘eck [also known as come hell or high water] …..…Yes we can!